The Northumberland County Show is held at Tynedale Park in Corbridge, Northumberland, England. These pictures were sent in by PT. He writes: "[These pictures were taken] at the first show of the season and is a chance for the farming community to show their prize animals - beef, dairy, sheep, horses etc and compete for various championships. It takes place on the grounds of Corbridge Rugby Football club which has a spectators stand. Between 20-25,000 people attend and there are a large number of trade stands including agricultural machinery, new cars, clothes, crafts, food etc." "It is a day out for all the family and providing toilet facilities for so many people is a real challenge. 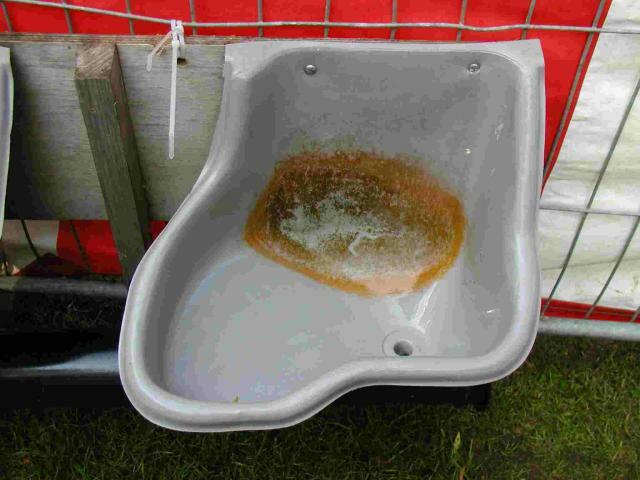 Of course there are the usual Porta Potty units around the grounds but a mens urinal near the bar area is a priority. 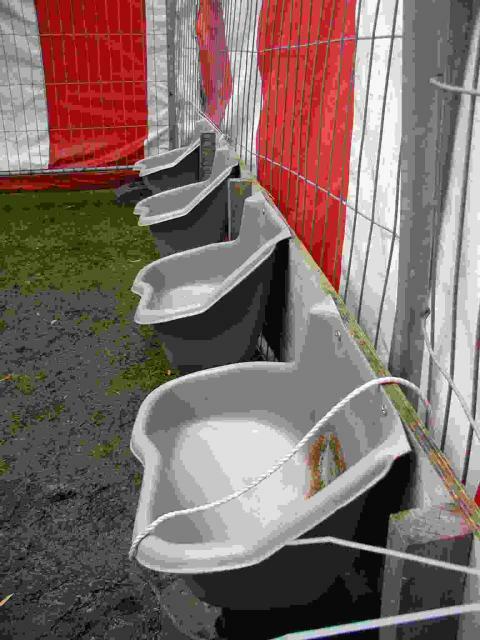 These urinals have been home-constructed and the plastic bowls appear to be those used on farms to provide a supply of drinking water to cows. Each one has an outlet which feeds into a large-diameter drainpipe below. 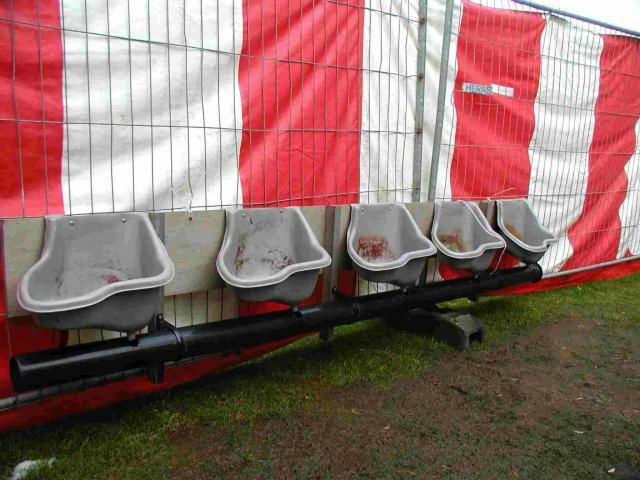 The arrangements are simple and effective but barely adequate for the number of men on site. It was quite a challenge to obtain these photographs with the constant flow of users."